Reversing system for caravans, large trailers and sales vehicles - Reversing can be so easy. This reversing aid especially for trailers of any size helps you to drive your team backwards easily and safely or even into any parking space. Thanks to the Easy key for the cigarette lighter, this trailer reversing alarm works with any towing vehicle. Once retrofitted to a caravan, trailer or sales vehicle, you can change the towing vehicle as often as you like. Bus-Easy-4 reversing system and parking aid was specially developed for trailers, as it requires no cables or radio and thus warns absolutely reliably of obstacles behind the trailer combination. Once mounted on the caravan/trailer, you have a reversing warning with any vehicle, in that the distance to an obstacle behind the trailer is indicated to you as usual by warning tones. Finally you know if there is an obstacle behind your trailer/caravan and can drive backwards without any additional help. Thanks to the latest CANBus technology, the signal is transmitted over the vehicle's ground cable without interference and without additional cables or interfering radio waves / WIFI. 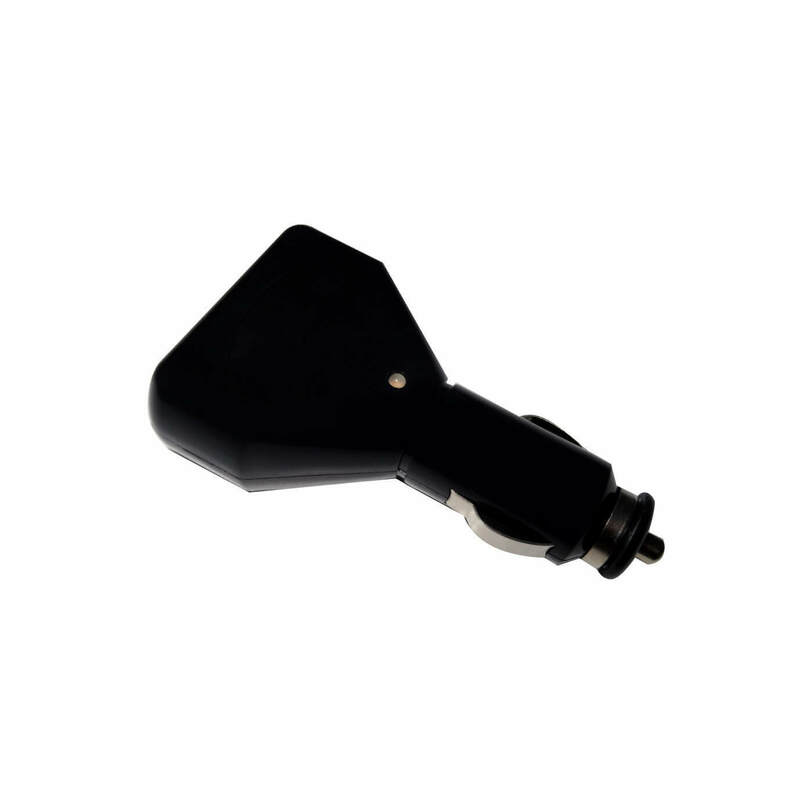 The Easy-Key-receiver for the signal tone is simply plugged into the cigarette lighter in the towing vehicle and can therefore be used with ANY vehicle, allowing the towing vehicles to be changed as often as required. Simply plug the trailer plug into the trailer socket to connect the system and engage the reverse gear to activate the reversing sensors. 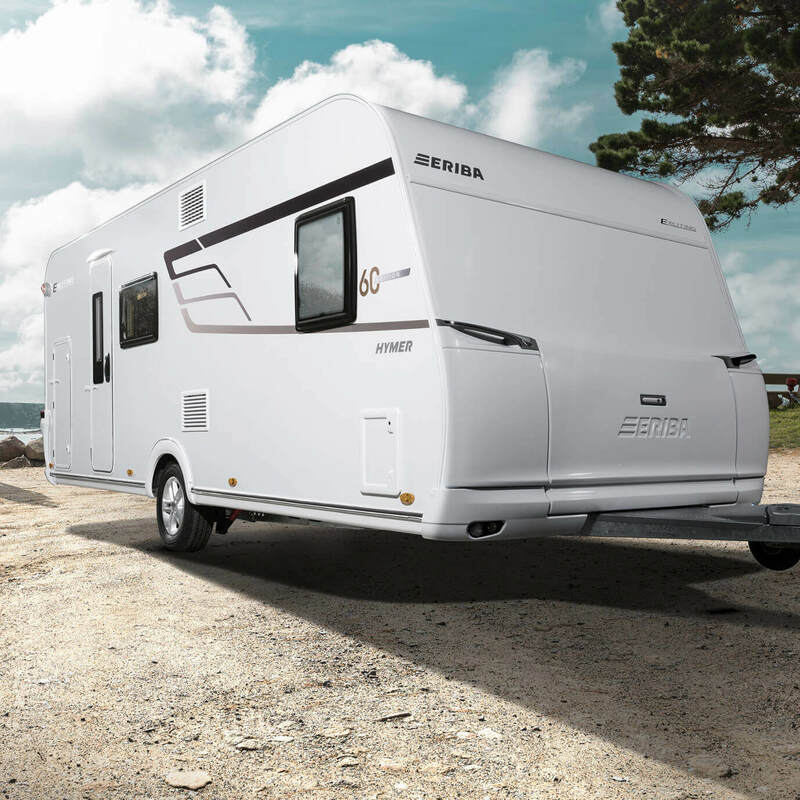 As a rule, towing vehicles are changed more frequently than caravans or sales trailers. With this reversing aid from CaraWarn only the 4 sensors have to be mounted once on the trailer. Then, thanks to the Easy-Key, you have a reversing warning system with every vehicle, as only a car socket (cigarette socket) is required here. This can be in the front of the vehicle or you can use the car power socket in the trunk if available. 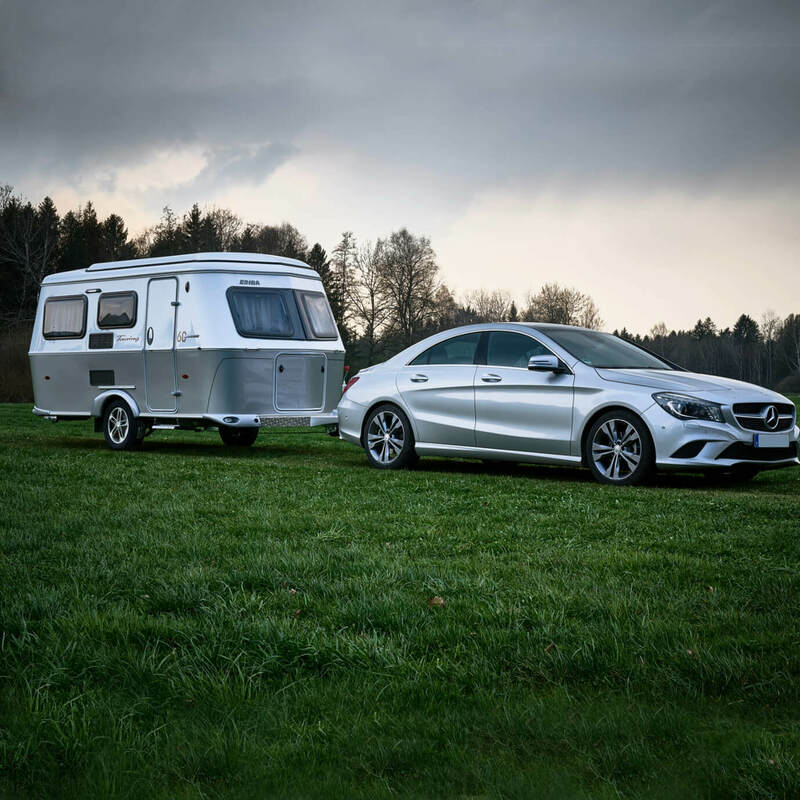 If you change the vehicle or lend your trailer, you only need to hand over the Easy-Key and the reversing aid also changes into the new towing vehicle. If you have several vehicles that pull your trailer regularly, then you can equip each vehicle with it using a 2nd or 3rd Easy-Key receiver and do not need to hand the Easy-Key over and over again. Installation is very simple, as only the four sensors are mounted on the caravan / sales vehicle and the CAN-BUS transmitter module is connected to the trailer's reversing light. The system is already installed and transmits the signal reliably and without interference via the ground cable of the vehicle as soon as the trailer connector is connected to the towing vehicle. All components are waterproofly encapsulated with protection class IP67, so that the system is even suitable for boot trailers. The Bus-Easy-4 system is simply connected to the circuit of your caravan. This gives you the advantage that the parking system is activated automatically as soon as you engage reverse gear in the vehicle. 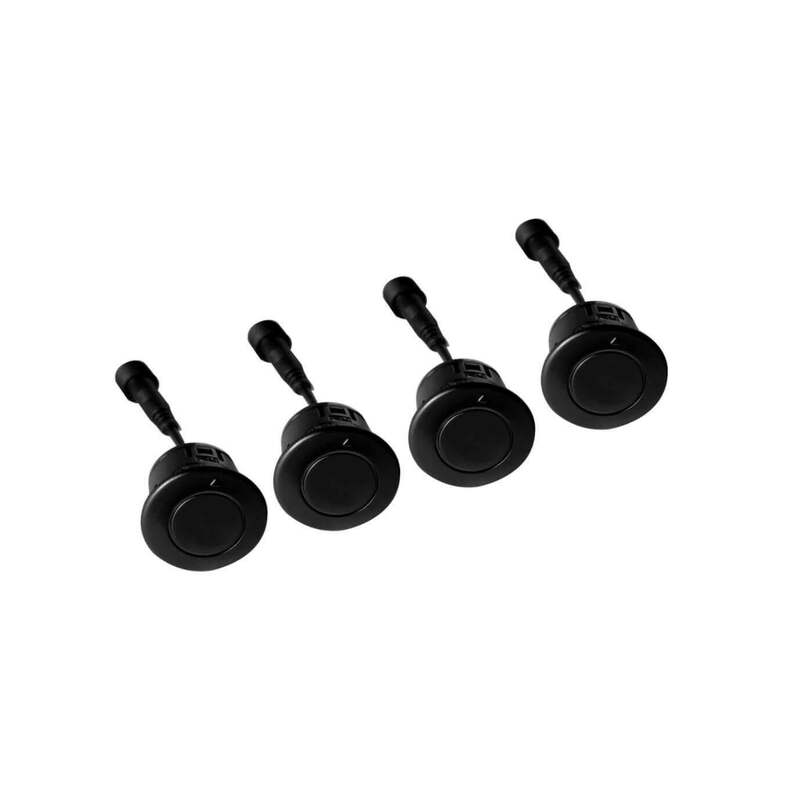 If your vehicle then approaches an obstacle, the 4 sensors detect the danger and the Easy-Key emits a clearly audible alarm inside the vehicle, which can also be easily heard by hearing aid users. The system works day and night and helps you to park your vehicle safely and quickly and to effectively avoid scratches and dents. Thanks to the trouble-free CanBus technology, the system is particularly quick and easy to install. 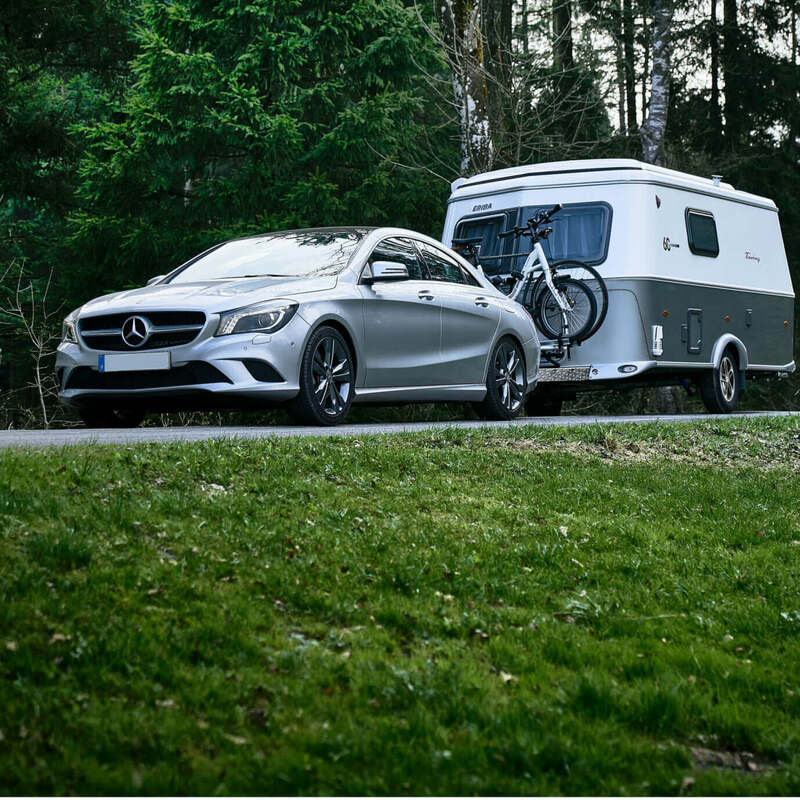 The special feature of this system is the Easy-Key, once you have installed the system on your caravan, you can change the towing vehicle as often as you like. The CaraWarn reversing system is also suitable for retrofitting to any car, van or SUV. Install the "Bus-Easy-4" system in your trailer and the "Bus-Light-4" reversing system in your towing vehicle, then you have an absolutely convenient solution. Without a trailer, the reversing system works as you know it from any car. At the moment you couple the trailer, the reversing system recognises this and switches directly to the trailer's reversing sensors. If the "CaraWarn Bus-Light-4" is installed in the towing vehicle, you also have an LED display with the exact distance to the obstacle in addition to the warning tone. Without a trailer, the distance display for the sensors on the vehicle itself works and with a trailer, the distance behind the trailer is displayed at the front of the vehicle, as the trailer reversing sensors are absolutely compatible. If you use another towing vehicle to drive your trailer, you can use the Easy-Key receiver in the other car and immediately have the reversing aid for the trailer again. The costs of an accident or paint damage usually exceed the costs of this system many times over and since a caravan is used for many years and usually longer than the actual towing vehicle, the system pays for itself very quickly, since thanks to the EasyKey system this reversing monitoring can be used with any car and thus remains usable for years. If you damage another vehicle with the trailer or even cause personal injury, the ´Haftpflichtversicherung of the towing vehicle is used, which charges the insurance of your own car and usually increases the insurance premium. In any case, the SF class is downgraded in the event of damage, which has a negative effect on the vehicle's insurance premium. Trailer insurance is only taken out if the trailer has been parked and has not been towed by a vehicle. For this reason, this trailer reversing system actively helps to protect your car insurance premium, as the system can protect you from accidental damage. Even a small damage exceeds the purchase value of this reversing aid by a multiple. Protect your capital from damage by equipping your trailers with this system and handing the Easy-Key over to your customers. 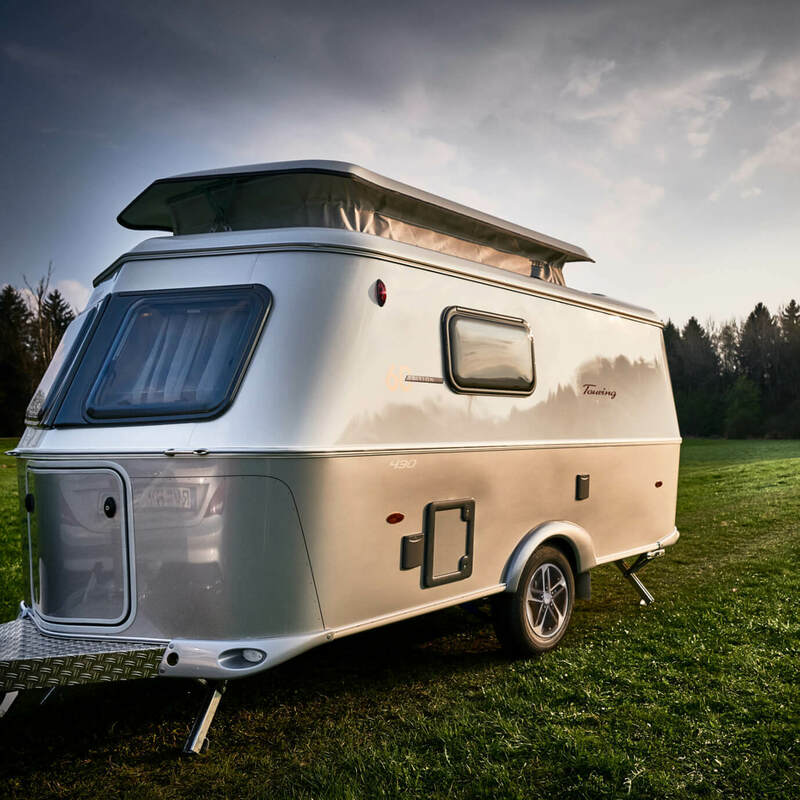 Any damage to your caravan or sales trailer is a nuisance, especially when the next customer is already waiting for the trailer and it first needs to be repaired. As a good seller, you still charge a small fee for this additional protection and refinance this reversing aid after just a few months.